The Roanoke Colony on Roanoke Island in Dare County, present-day North Carolina, United States was a late 16th-century attempt to establish a permanent English settlement in what later became the Virginia Colony. 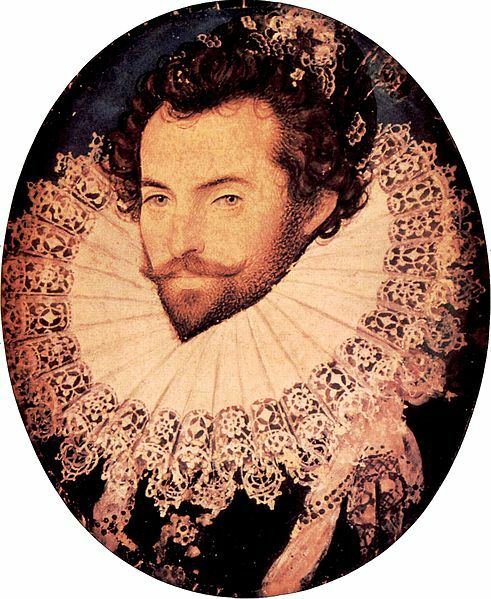 The enterprise was financed and organized by Sir Walter Raleigh and carried out by Ralph Lane and Richard Grenville, Raleigh's distant cousin. The final group of colonists disappeared during the Anglo-Spanish War, three years after the last shipment of supplies from England. Their disappearance gave rise to the nickname "The Lost Colony." 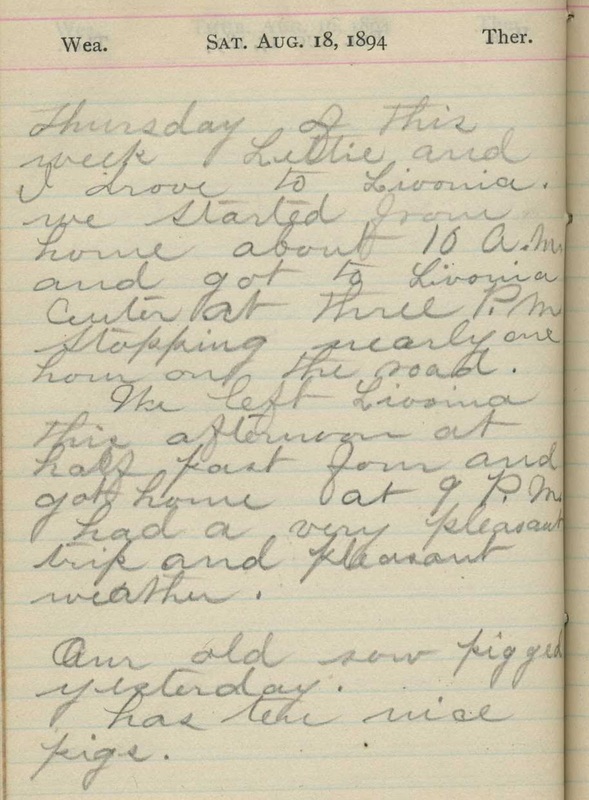 “Thursday of this week Lettie and I drove Livonia. We started from home about 10 a.m. and got to Livonia center at three p.m.. Stopping nearly one hour on the road. 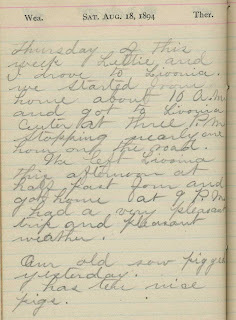 We left Livonia this afternoon at half past four and got home at 9 p.m. Had a very pleasant trip and pleasant weather.